Empty Boats Along The Bay 2013 | J.Harms. Empty boats along the bay. 2013. 17×24 cm. Acrylic on paper. 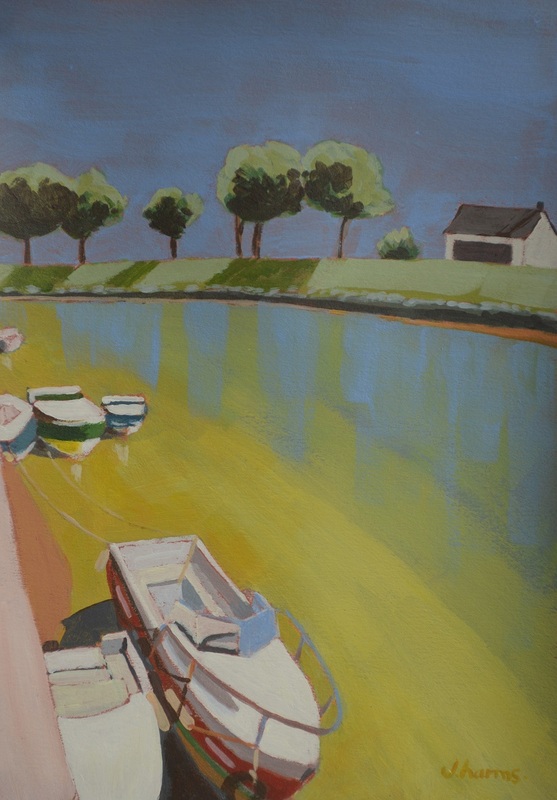 It was the beginning of summer along the bay of Saint-Valéry sur Somme. Boats seemed to be hibernating somehow. Your use of color here is fantastic! Love the reflections.